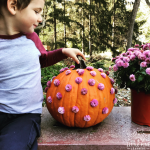 Work on fine motor skills, color recognition, patterns, and so much more with this fun outdoor activity for kids! The set up is super simple and the activity is always a hit with my boys. If you follow my nature inspired Instagram account you have seen variations of this activity here and here. This time we decided to keep the activity outdoors and use sticks from the ground instead of live bush branches. This way, we still get the benefits of being outside and don’t hurt any buds in the process of making these beaded sticks. The supply list is minimal for this activity! •Sticks- We collected a few sticks we found on the ground. •Beads- We used these wooden beads and these wooden beads. •Bead Sorter- I like this wooden tea box to store our beads. Like I mentioned above, we collected sticks on the ground in our yard for this activity. It’s currently spring so there are a ton to choose from! Once my boys had a handful of sticks, they stuck them in the dirt of the planter. I introduced the beads and let them experiment with the materials. My four year old started threading the beads on the sticks right away. So Much Learning Going On! 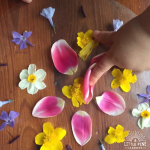 This simple activity offers so many wonderful learning opportunities! 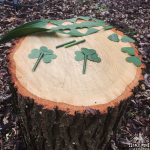 Even though my boys are in different places when it comes to the following skills, this activity is open-ended enough that it allows them to work at their own ability level. Leo had so much fun counting the beads one at a time as he threaded them on the branches. He would count up to seven and then start all over again. Sonny liked threading a bunch of beads and then going back to count all of them at one time. Learning how to build hand muscles helps children learn how to do every day activities like tying shoes, eating, wiping, and zippering. 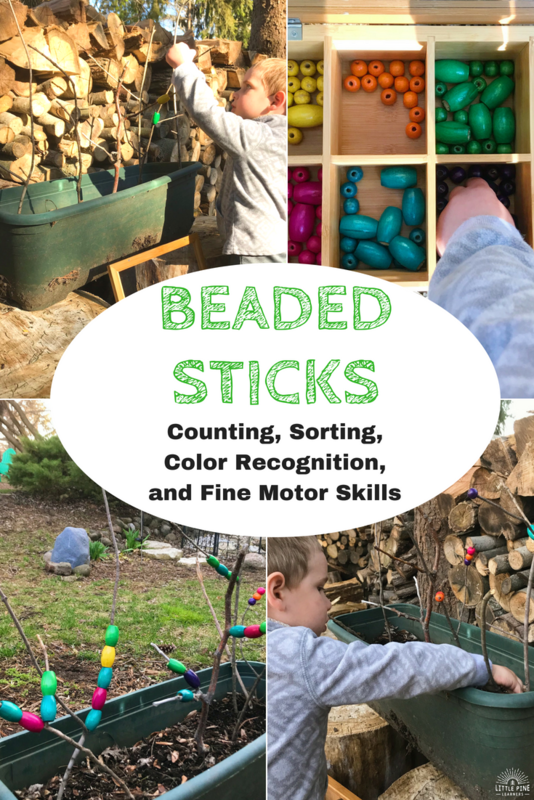 Pinching the beads and carefully threading the branches helps build the fine motor skills necessary to help your child with these important life skills. When my boys were finished with the activity, they naturally started sorting them back in the tea box according to their color. Sonny talked about the different shades and Leo was so excited to put all of the blue beads back because that’s his favorite color…at the moment. 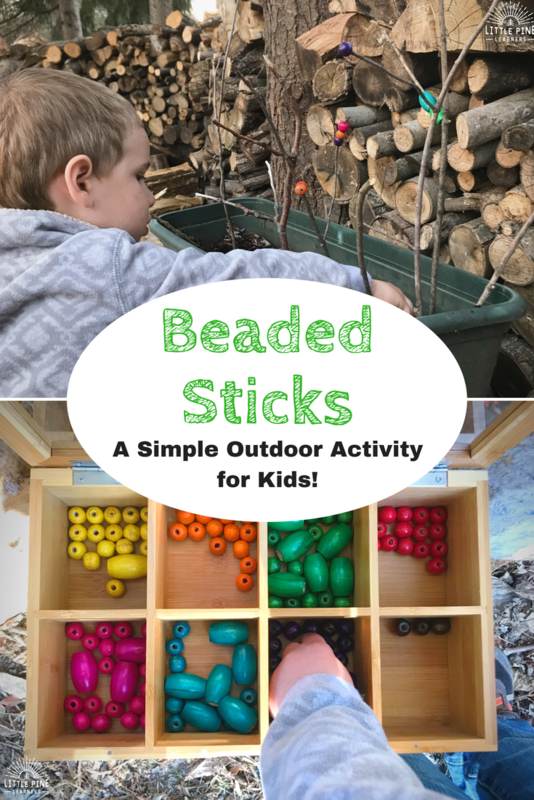 Need more spring activity ideas?! Check out Loose Parts Easter Eggs!